Now there is official gear to being an alcoholic. 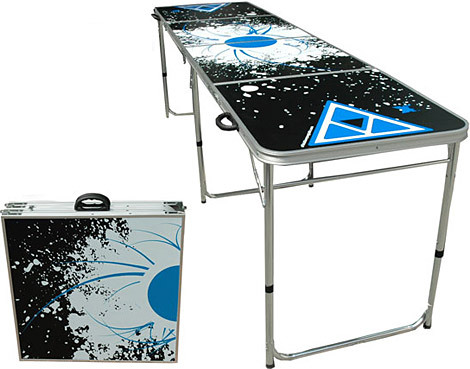 Featured on Uncrate.com you can now be the proud owner of an official beer pong table. I’m a bit leery on this item. After you and your drunk buddies have been playing for a few hours this table will not suffice as a stable playing field. Good luck folding it back up when your smashed too. You can get one here. Didn’t vote for you but i like yo beetz!